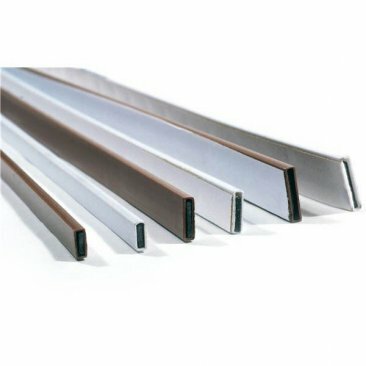 Intumescent fire door seals fit into a rebate on the fire door or frame. They expand to many times the original size and fill the gaps around the door with a flame-tight seal for 30 or 60 minutes, depending on width (see below). Each strip is 2.1 metres long and has an adhesive backing. They are white or brown with other colours on request - grey, black, light brown, red or cream.